Blogging is now a part of modern life. People who want to share their feeling thought, the idea with others, are writing blogs almost daily. Blog sites are not for business purpose. However, anyone can promote their business or their product through their own blog. To grab more audience, you need to create resourceful and helpful contents. But, catchy contents are not enough. You have to decorate your blog with some amazing and organized design. 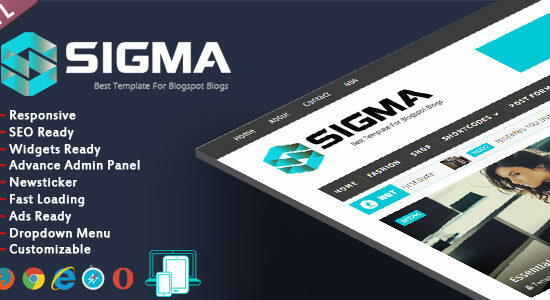 Bootstrap powered templates have always been at the top of the list for bloggers and website owners. 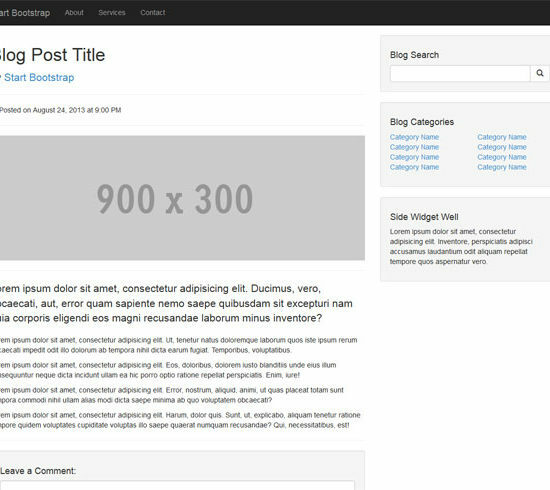 This article is all about Bootstrap templates. 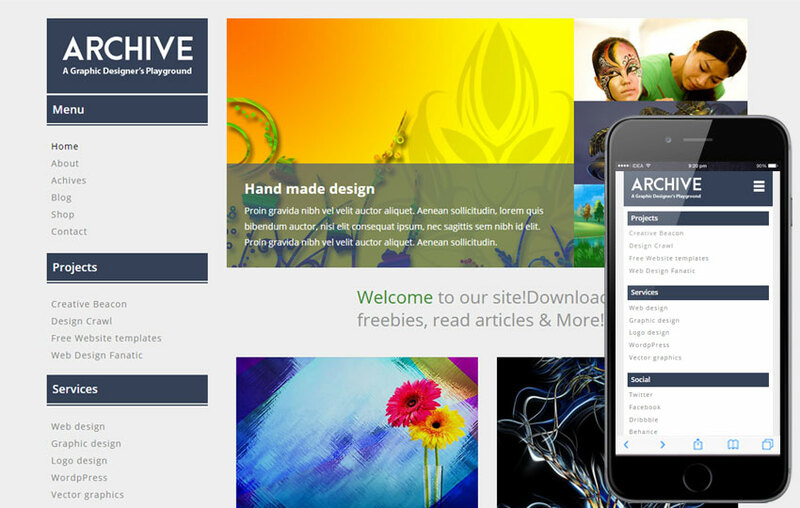 Most the templates are absolutely free and very user-friendly. 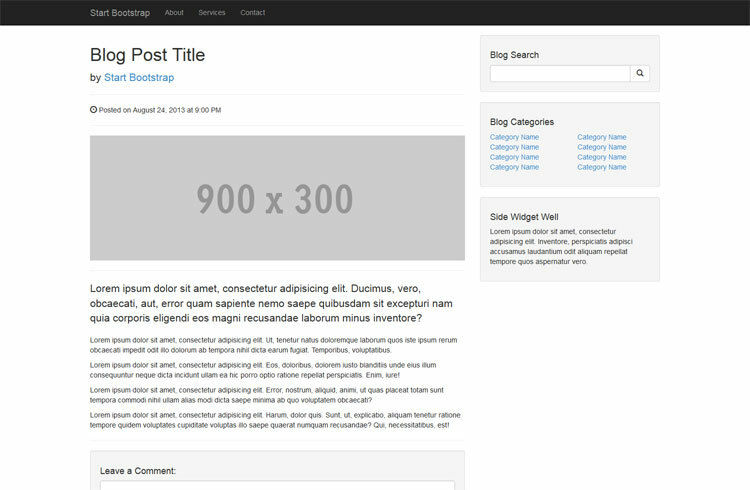 In this article, you’ll get to know about some free Bootstrap blog templates. These are the templates that can be used for any personal blog site. As most of these templates are multi-purposive so you can use these templates for business and promotion online. So, let see what these templates are offering. The Personal blog is the template you need when you want to create your own blog within the shortest time possible. 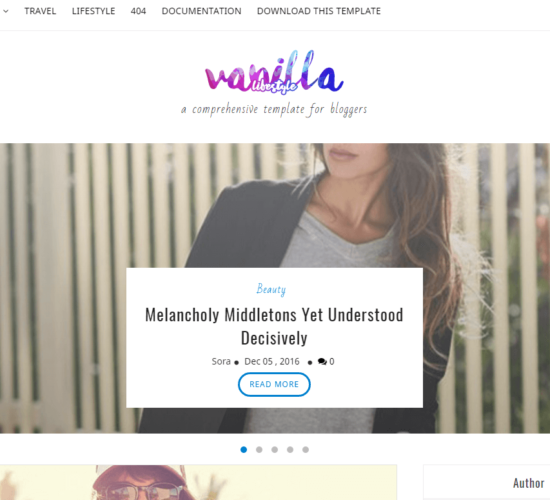 It’s very clean and flat template for any beginner and professional bloggers. It’s very flexible to use and has multiple colors. Some key features are really amazing with this template. First of all, it’s absolutely free and it has all you need. 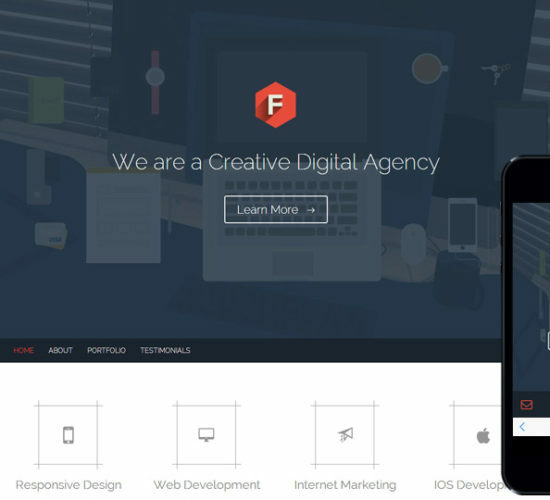 Responsiveness, SEO support, attractive colors and design, well-organized short codes and much more. So why are you even waiting for? Get it from the link below. 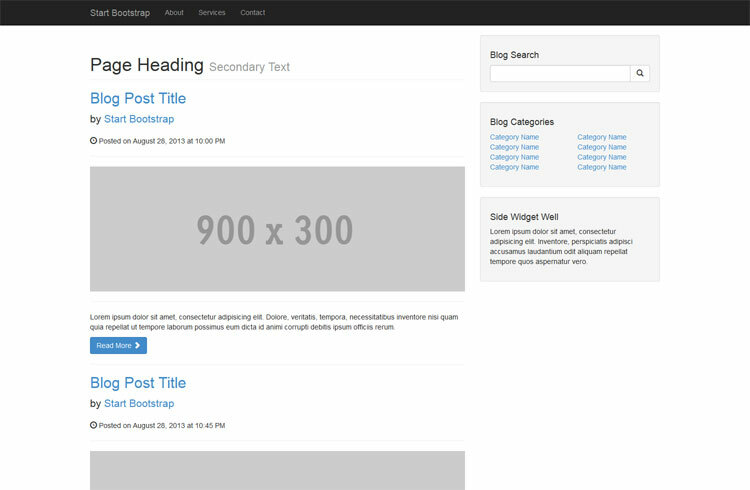 The Clean blog is one of the great free Bootstrap blog templates out there. Just like the name, this template comes with clean design and fresh look. There are so many features involved with this template. Anyone will like it and make their top choice. What features it has? Let’s find out. It’s fully responsive, modern design, distraction free blog text optimized, PHP contact form with validation, footer with social links, LESS files included and much more things inside. The archive has a very simple look. The design is really clean and responsive. 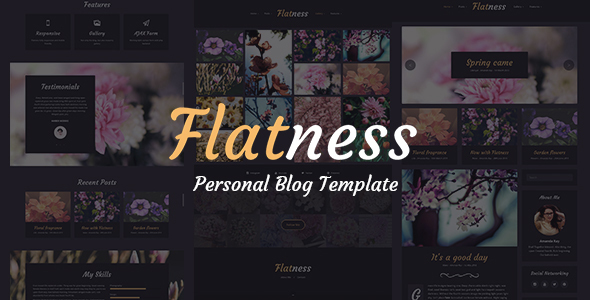 The template itself is flat, flexible and user-friendly. The refreshing color makes this template look ravishing and eye-catchy. 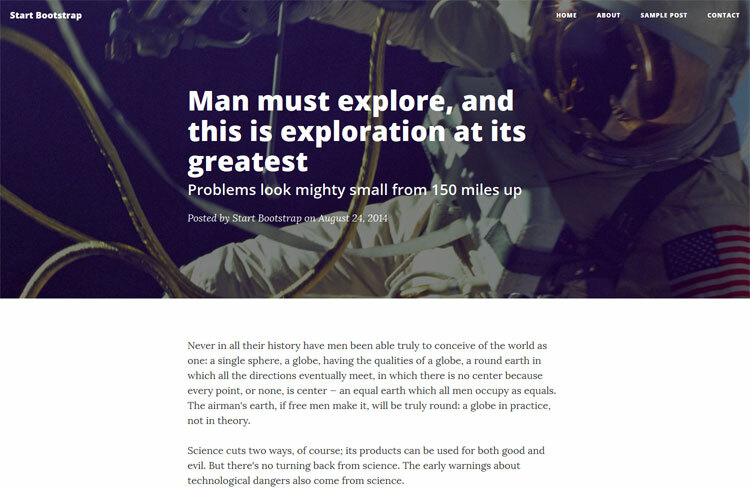 The archive can easily be one of the best free Bootstrap blog templates. 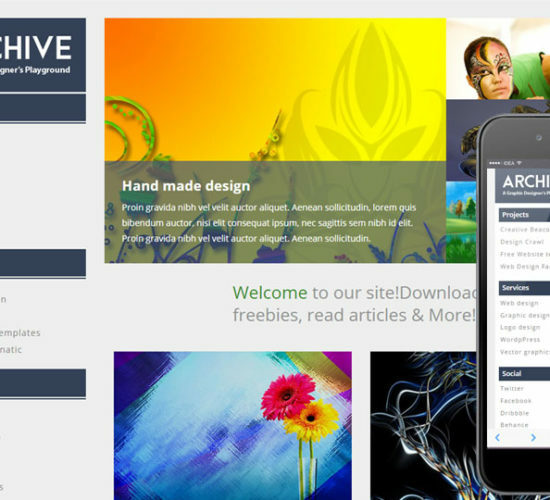 The designs are based on HTML and CSS, with full responsiveness, you can easily manage this template, SEO support, documentation and so many options are available with Archive. You can download Archive from here. 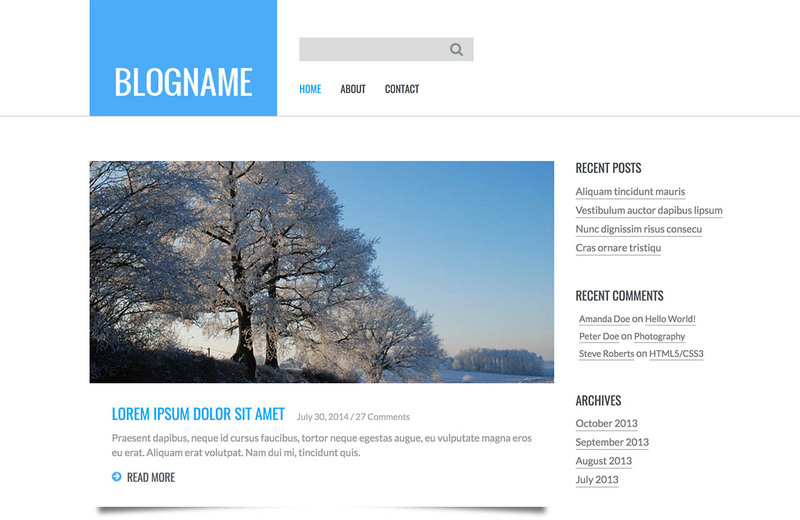 The Blog post is a very simple and easily customizable Bootstrap template. Best template for those who have just started their newly created blog. For its multi-purposive aspects, it can also be used for various business-based websites. This template is great starter template for beginner bloggers. Features are also very user-friendly. 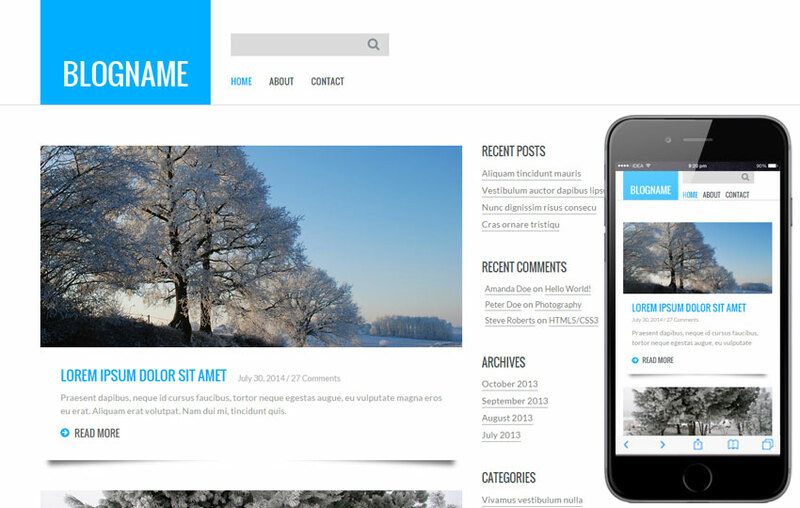 100% responsive template with easily customizable options, image heading with full post text, comment section, multiple colors, SEO friendly and much more. Get this template now. Flat style is clean and flat. It comes with so many flexible features along with it. It has some options that let you start with your blog as soon as possible. Its color selection option is amazing. 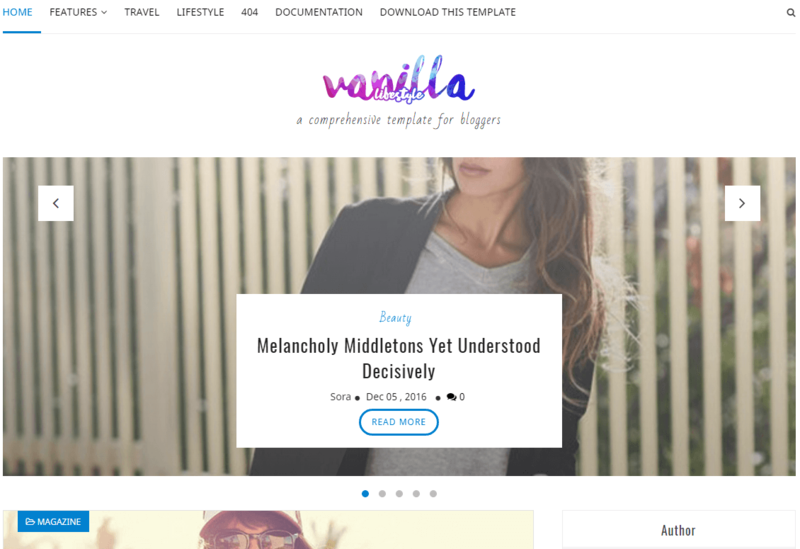 Therefore, this template can make your blog look colorful. Let’s check all the key features. It is fully responsive, 100% SEO friendly, comment section, multiple colors, easily customizable, icons, great looking layouts and much more. A very easily manageable template for anyone who runs Bootstrap-based blog site. It is something which is very necessary for new bloggers. For its user friendliness, anyone can use it who has basic knowledge regarding web template usage. 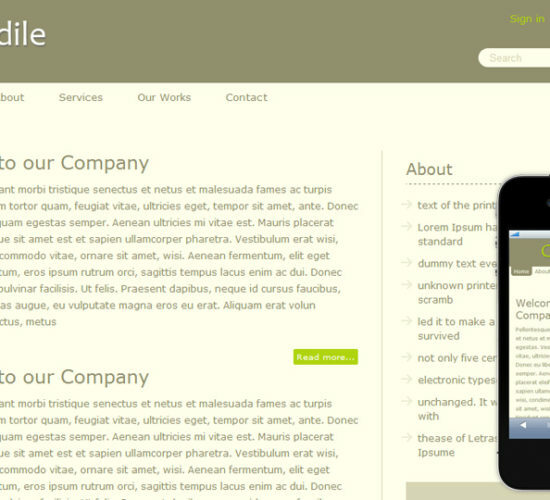 You can easily create a nice home page through this template. Other features are also very cool. Fixed navigation bar on the top, separated blog post preview section, easy to customize sidebar widgets, fully responsive, SEO support and much more. Download this template now. 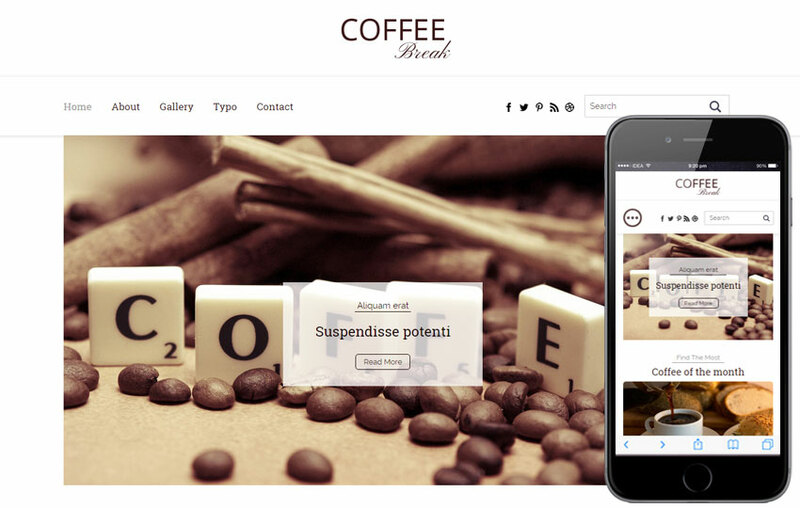 Coffee break is the best choice for any pro and beginner blogger. The color of dark coffee beans will give you the feel and smell of a cup of coffee in the morning. The most amazing part of this template is, this template can also be used for restaurant, café and product marketing purpose. Truly responsive, source file or PSD included, detailed documentation, HTML5 and CSS3 based design, unlimited color, SEO friendly, customer support and more. Click on the link below to download this template right now! Quickly comes with so many flexible features along with it. Quickly has some option that let you start with your blog as quickly as possible. Its color combination is amazing. 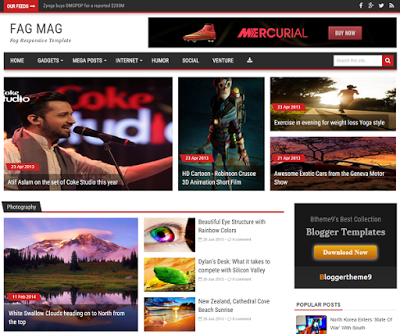 Therefore, quickly can make your blog look colorful. Let’s check all the key features of quickly. It is very colorful, SEO optimized, layouts, rich documentation included and more. So why are you waiting for? Get this fantastic piece from the link below. Voguish has a very professional look. The design is really clean and responsive. 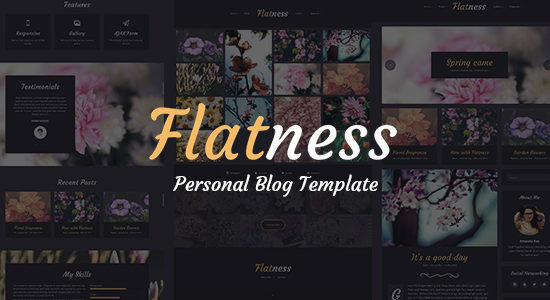 The template itself is flat, flexible and user-friendly. The cleanliness makes this template look ravishing and eye-catchy. 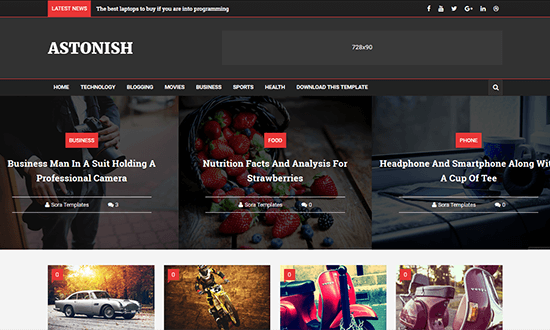 Voguish can easily be one of the best free Bootstrap blog templates. It’s 100% SEO optimized, fully responsive, retina ready, easy to manage, HTML and CSS based design, icons and much more features you need. Write up is all about blogging. An ideally built template for bloggers. 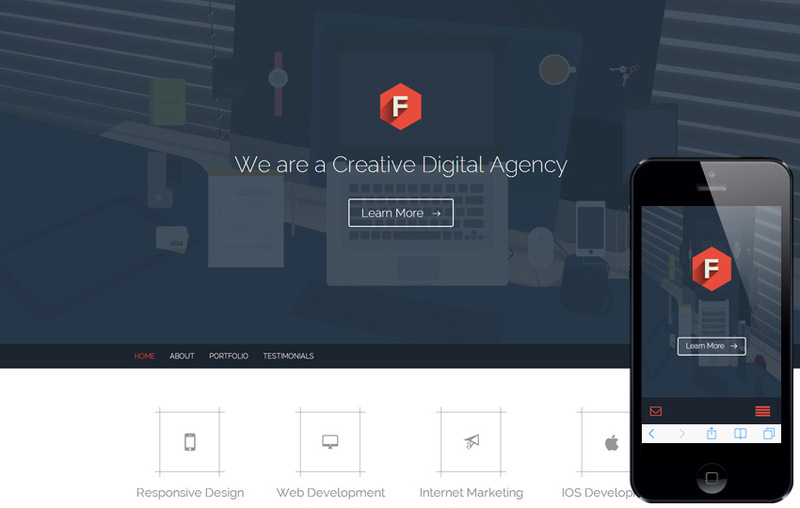 Besides responsiveness, this template is well-designed and well-organized. You can manage and customize this template quite easily. It’s a clean and fresh template you can get. The template has a magazine-based design. 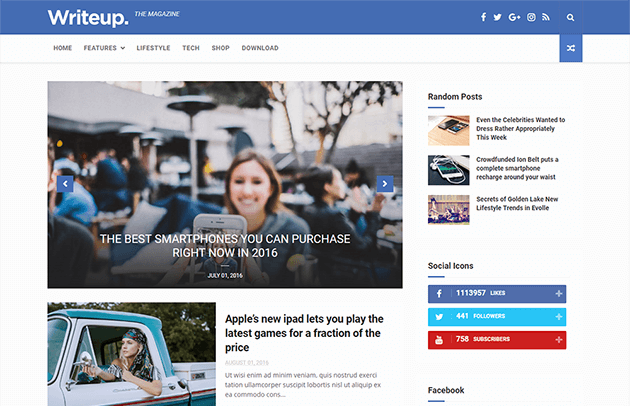 Fully responsive design, mobile friendly, YouTube thumbnail, SEO optimized, multiple comment system, blogger news templates, professional admin layout and much more. 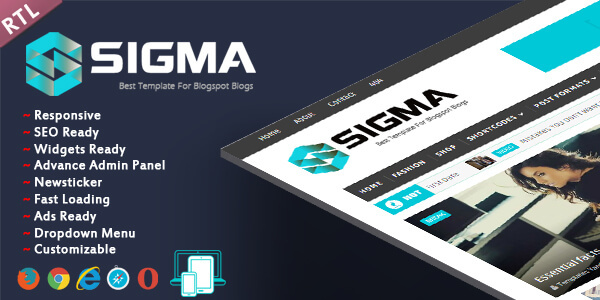 Sigma is an easily manageable template for anyone who runs personal blog site. 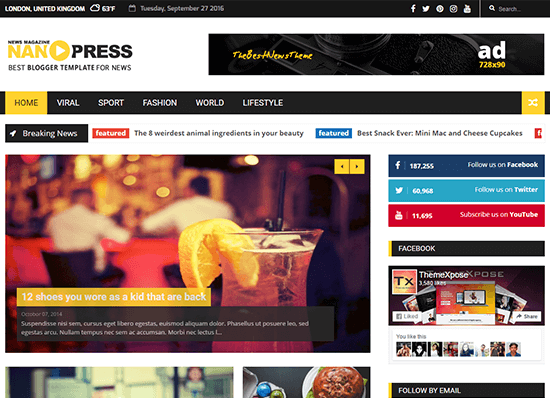 It is a user-friendly template for new bloggers. For its user friendliness, anyone can use it who has basic knowledge regarding web template usage. 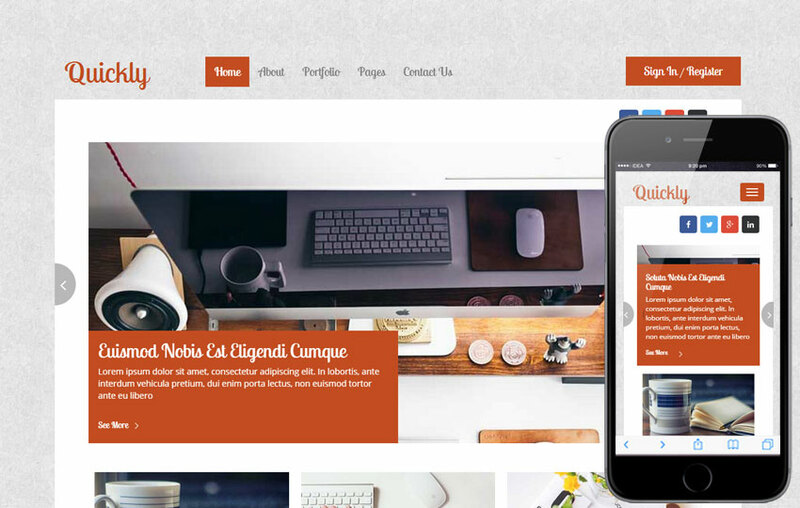 You can easily create a nice home page through this template. Other features are also very cool. Truly responsive, Google testing tool validator, SEO friendly, customizable design, advanced admin panel, detailed documentation and more. Floral has the perfect mixtures of floral colors and background. 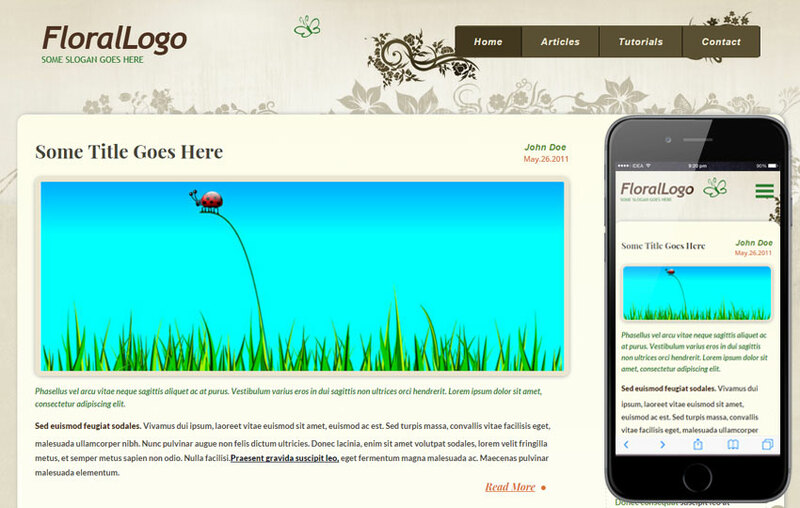 Floral is very clean and responsive in terms of design. It is also very flat and easily customizable template. 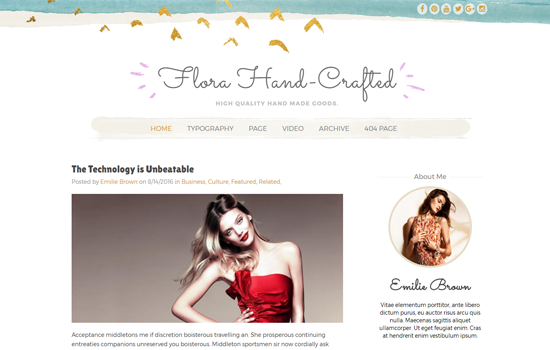 The template suits best for personal blog sites. It can surely make your blog attractive. Features are also pretty cool. 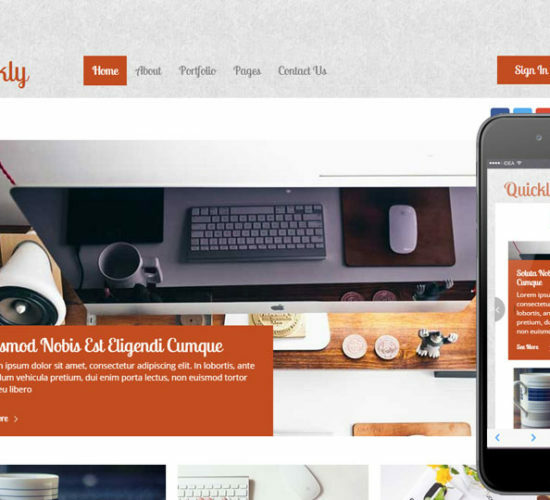 Floral is the ultimate responsive template for you, the design based on HTML5 and CSS3, it’s very flexible and very easy to customize. Crocodile is nothing like you’re thinking. It’s very clean and very simple template. The usability is very flexible and easily manageable. Its flat and clean design is very attractive. It fetches some key features with it. You’ll enjoy these features. It is SEO friendly, comes with very responsive design, clean and flat, retina ready, HTML5 and CSS3 based, customizable design, advance admin panel, detailed documentation and other features are also included. FagMag has a very extraordinary magazine look. The design is really clean and responsive. The template itself is flat, flexible and user friendly. The refreshing color makes this template look ravishing and eye-catchy. 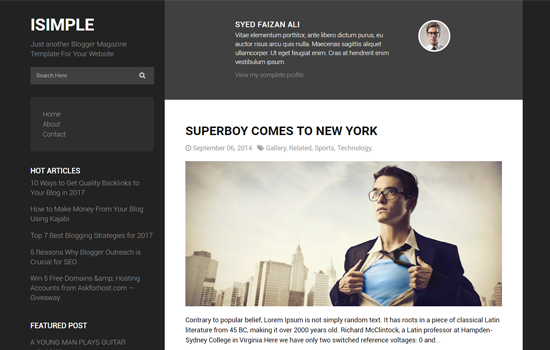 FagMag can easily be one of the best free Bootstrap blog templates. 34+ posts on homepage, responsive design, featured post area, SEO friendly, portal style theme, Mobile friendly, social media link and much more things to offer. 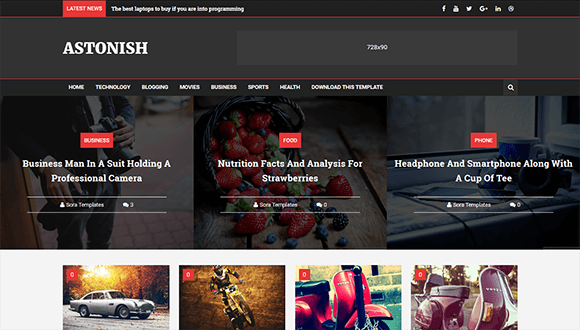 Astonish is a very simple and customizable Bootstrap template. Best template for those who have just started their blog. For its multi-purposive aspects, it can also be used for various business-based websites. This template is great starter template for beginner bloggers. Features are also very user friendly. 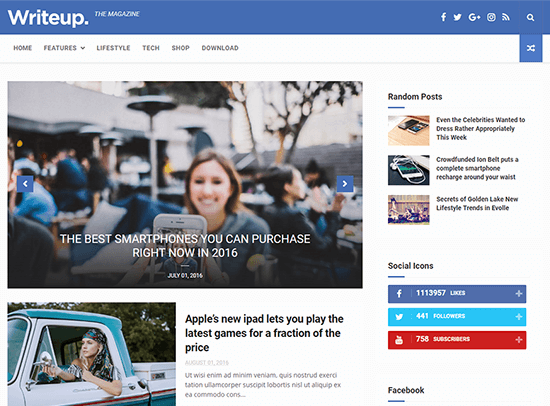 Absolutely responsive, SEO friendly, Google testing tool validator, Mobile device friendly, customer 404 page, magazine blogger template, slider blogger template and more. 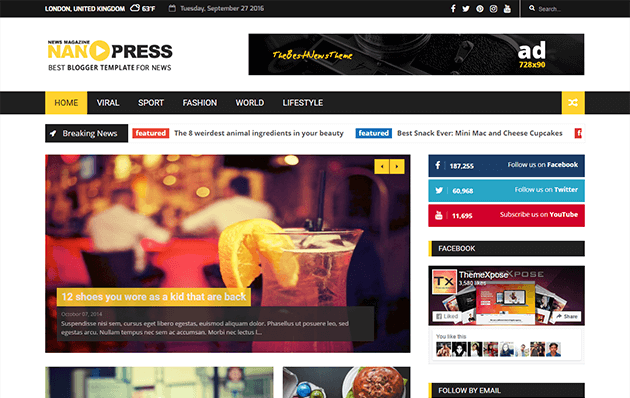 Flatness is ultimately a well-designed, clean and responsive theme for bloggers. It has a wide background and decorated with all the necessary options simultaneously. Let’s see what features it has to offer. SEO optimized, multiple comment system, responsive design, layouts, icons, organized short codes and many more. The vanilla lifestyle is the template anyone will love. It has full screen background along with clean design and fresh colors. Its flexibility will let you manage this template with ease. There some features with this template. It is responsive, SEO optimized, Google testing tool validator, mobile device friendly, custom 404 page, minimal blogger template, fashion blogger template, drop down menu template, HTML5 and CSS3 based design, Ad ready, browser compatibility, fast loading and more. 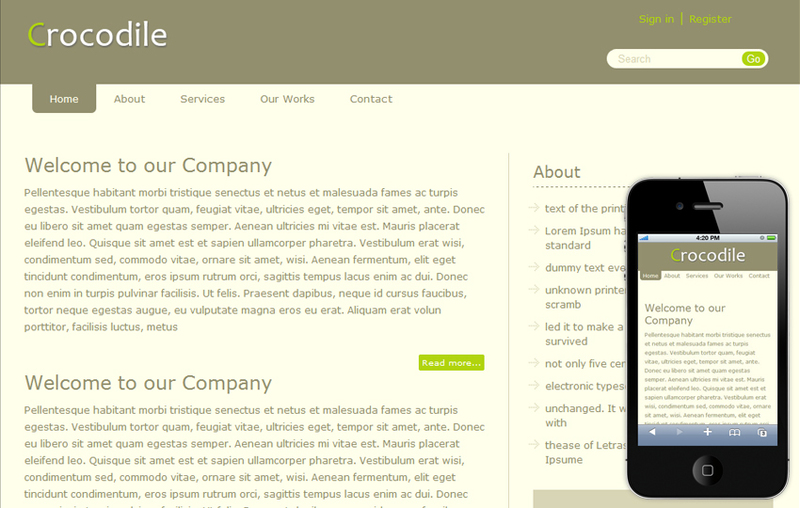 iSimple is a very simple and easy going template for all. Just like the name, the template has everything which are simple. The usability, design, options are very frankly simple. Simplicity is the main key of this template. Let’s check some key features of this template. 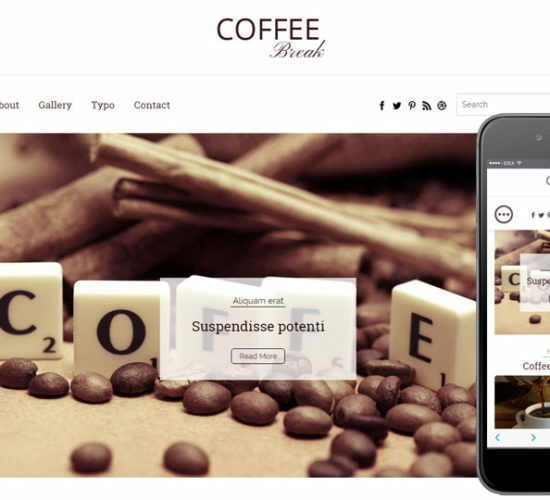 It contains a responsive design along with SEO support, browser compatibility, mobile device support, fascinating layout design, social icons, no footer, search box, black and white color schemes and much more. 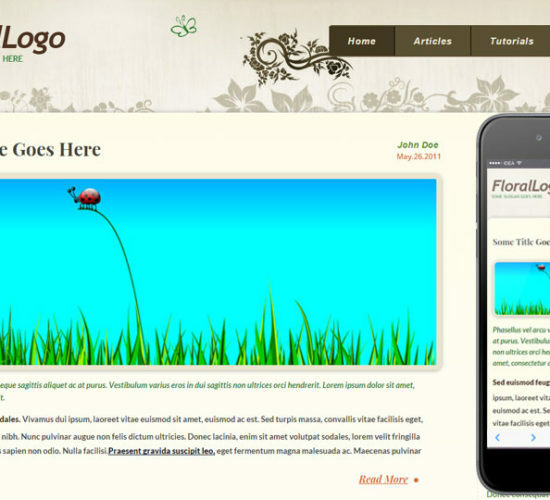 Flora is one of the finest free Bootstrap blog templates among all. Why it is so special? Well, Flora is hand-crafted template. It is also very nicely-designed and very simple to use. The color combination is quite light and attractive. It’s a very beautiful template for bloggers. 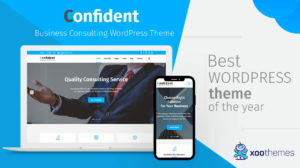 It works fast and cool in different desktop and mobile devices, very responsive, 404 page, YouTube video support, threaded multi-child commenting system, SEO optimized, attractive color scheme and much more. 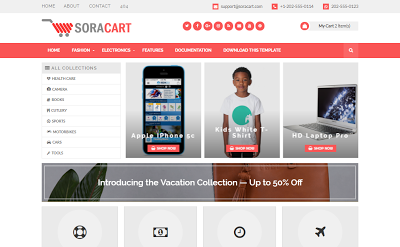 Sora Cart is another clean and simple template. It’s very simple template for anyone. The usability is very flexible and easily manageable. Its flat and clean design is very attractive. It fetches some key features with it. You’ll enjoy these features. 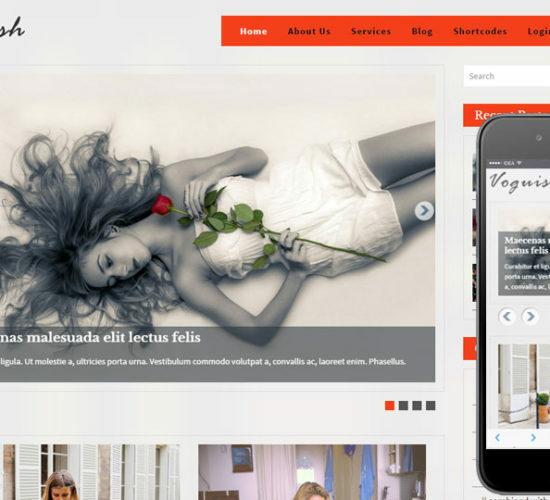 It’s SEO optimized, Google testing tool validator, fully responsive, mobile device friendly, fashion blogger template, drop down menu template, HTML5 and CSS3 based design and much more interesting features. Nanopress is has the magazine look. Perfect template for bloggers and business owners. The background is really cool with colorful designs. This template is actually a multi-purpose template. You can choose this one for your daily blog or product promotion. All the features are just perfect. 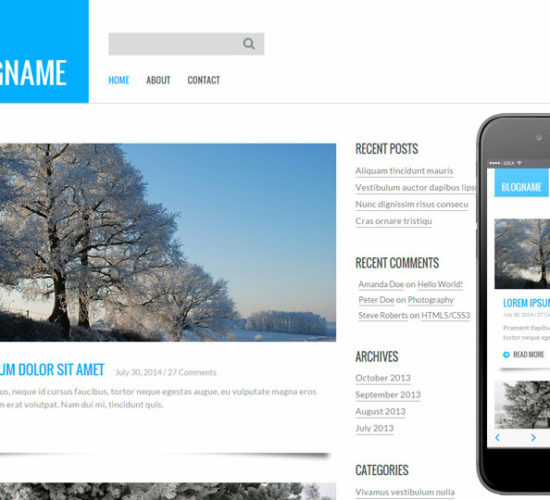 The template is fully SEO optimized, it has tabbed menu, responsive, YouTube thumbnail supported, rich documentation, multiple comment system, major browsers compatibility, professional admin layouts, advanced search engine optimization, custom error 404 page, newsletter subscription and much more. 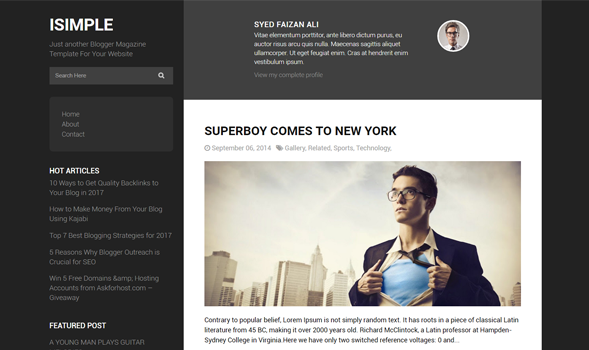 Smart Blog is an easily manageable template for anyone who’s a blogger. It is a user-friendly template for you. For its user friendliness, anyone can use it who has basic knowledge regarding web template usage. 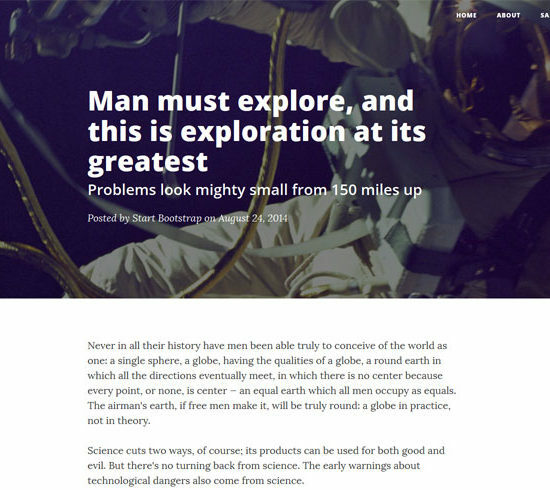 You can easily create a nice blog through this template. It comes with Google testing tool validator, responsive design, SEO optimized, drop down menu template, HTML5 and CSS3 based design, mobile friendly, social buttons, three column footer, clean layout, browsers compatibility, fast loading, user-friendly and much more. Get this template today! So, these are some helpful and user-friendly templates for your blog. These templates are not for promotion. 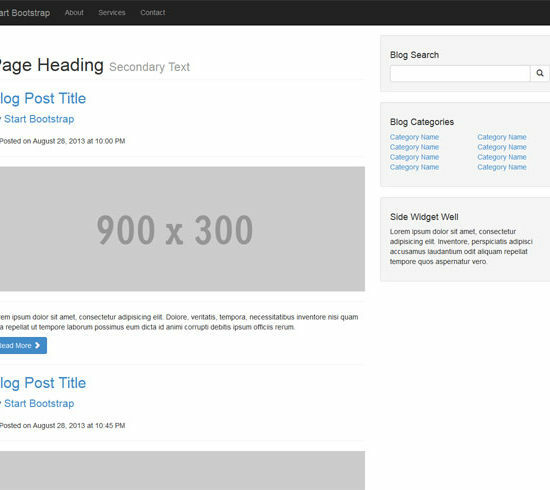 Most of these free Bootstrap blog templates are free to use and comes with the clean and flat design. There are so many templates available on the internet. You can choose any one of them. It’s totally up to you. If you have any favorite template list you can share with us. Let us and others know your precious idea. Hopefully, this article is helpful for you. If so, then please share and let other people know about it. Maybe someone somewhere is looking for a template and this article might help them out.